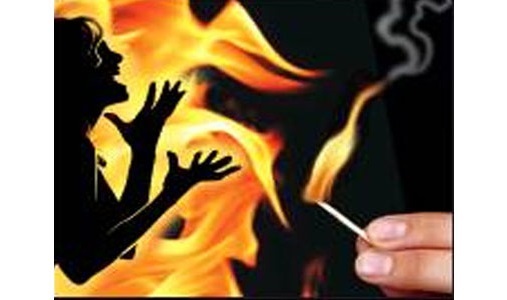 In a bizarre incident that took place on Monday at 7.30 in the morning at Koimari Part III village under Agomani Police Station of Dhubri district, an 18-year-old woman was allegedly set ablaze by her husband and in-laws. The family members of the victim alleged that the incident was planned by the victim’s husband along with her in-laws. According to the allegations, the incident stemmed from the fact that the victim was not able to meet the continuous demands of dowry and harassed by her husband and in-laws. The victim has been identified as Khadiza Khatun, who was four months pregnant. She was married to Ajgar Ali five months ago. She was abused continuously and was threatened by her in-laws for dowry as alleged by her elder brother, Mostafajur Rahman Khan. The victim was earlier admitted to the Dhubri Civil Hospital for treatment but the doctors who attended her revealed that the victim has suffered over 90 per cent burn injuries and accordingly was referred to Gauhati Medical College & Hospital (GMCH) for further treatment. Joy Shankar Sarma, Circle Officer, Dhubri, who also arrived at Dhubri Civil Hospital, recorded the statement of the victim.